You’ll feel at home the minute you step into this very stylish 4 bedroom family home in Findlay Creek. 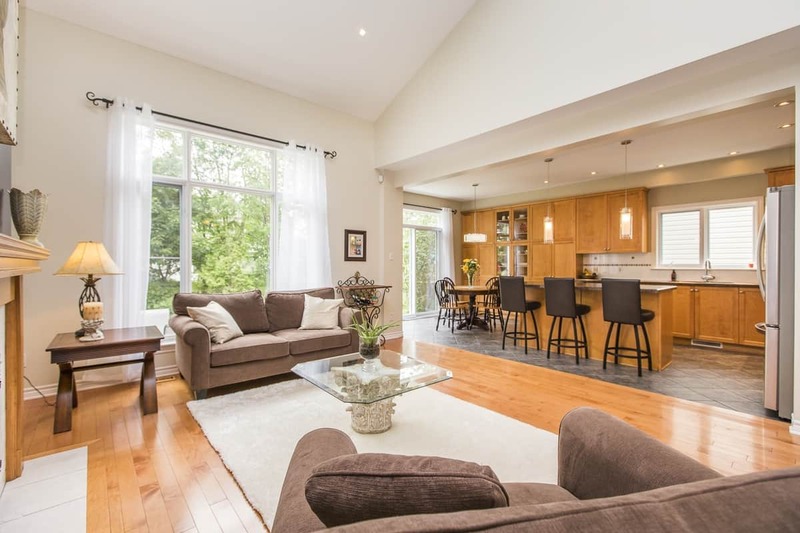 The open concept main floor offers nice formal spaces and a grand two-storey family room opening on to a very large kitchen with oodles of upboards, island breakfast bar and eat-in area. The kitchen walks out to a wonderfully private back yard with an elegant stone patio. The main floor also provides a powder room and mud room with washer/dryer and direct access to the back yard and double garage. Move upstairs to four very spacious bedrooms and the master with it’s own en-suite with both soaker tub and walk-in shower and walk-in plus regular closet. Click here to view the Photo Gallery or scroll down and click the PLAY button the youtube video below! Downstairs is also finished with a huge recreation/games/bar room – room for both the movie centre and exercise gym. Location: Well located on a wide lot just a couple of doors from the park , complete with playground, walking distance to the amenities and just a few blocks to the Brand New Vimy Ridge Public School which opened last fall. A superb home to grow your family and enjoy gatherings from years to come. Brand New Roof was just installed in 2017. Call Eric Manherz at 613-601-6404 today for your private showing! The only thing left to do is move in and enjoy! I would work with this team again in a New York (or Ottawa) minute!